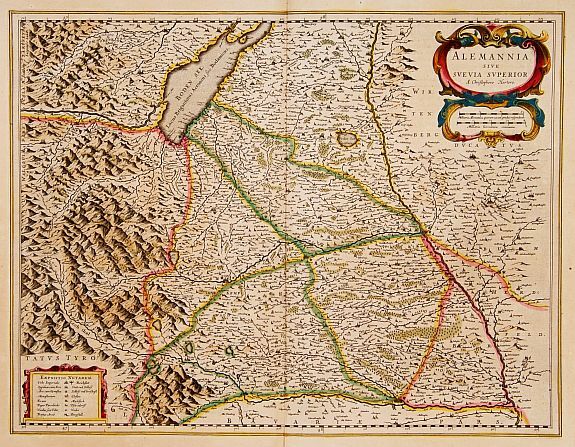 Alemania sive suevia superior - BLAEU, W.
Title : Alemania sive suevia superior. Size : 14.8 x 19.2 inches. / 37.5 x 48.8 cm. Description :Map of Upper Schwabenland, with the BodenSee in upper left corner. French text edition. Two coloured title and key cartouches. Condition : In very good condition. A good and dark impression. Split in lower part center fold (not affecting the printed area), expertly repaired.